In my last post I mentioned that Roofmax is a GAF Master Elite Certified Contractor which means we are able to offer our customers the Golden Pledge Warranty. This sounds like a bunch of big fancy words but what does it all mean? Today I am going to give you a break down of the Golden Pledge Warranty that we offer and what it means to you, the homeowner. First things first, to get GAF’s Golden Pledge Warranty you must do so through a certified GAF Master Elite contractor. Less than 3 out of every 100 roofing contractors have been awarded GAF’s Master Elite Status. To qualify to be Master Elite a contractor must be local, financially strong, properly insured, properly state licensed, factory-certified, professionally managed and have hundereds of satisfied local homeowners. When looking at getting a new roof it is important to investigate the warranty that the contractor is able to offer you. Generally the warranty should be two part, manufacturing defect coverage and workmanship coverage. For the manufacturing defect coverage the typical contractor has 100% coverage period for only 5 years on just the shingles. The Golden Pledge warranty has 100% coverage of the entire roofing system for 50 years. For workmanship coverage contractors usually offer only a 2 year warranty while the Golden Pledge warranty offers 25 years of coverage on the workmanship. The Golden Pledge warranty also includes disposal costs, tear-off costs, and a certified installer while the typical contractors warranty does not. The Golden Pledge warranty gives you peace of mind as it offers maximum wind coverage up to 130 mph category 3 hurricane wind speed, a transferable warranty, and Good Housekeeping protection on roofing system. 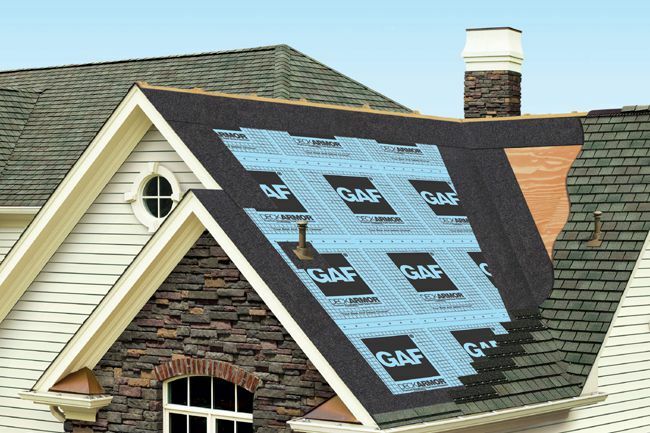 One of the greatest things about the Golden Pledge warranty is the fact that after the roof is installed GAF sends out an inspector to do a 40-point factory inspection of the completed roof to assure your warranty. What questions do you have about roof warranties? Do you know what type of warranty you have on your roof?